Please be patient with our faculty and staff over the next week as it may take a bit longer than usual to respond to any requests. All educators phone numbers have been updated at extension.uconn.edu. 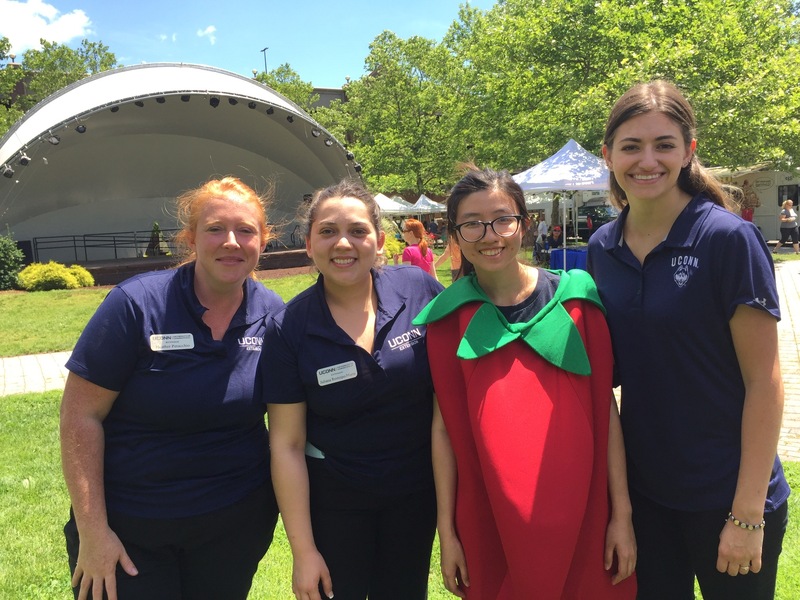 Heather Peracchio, Juliana Restrepo-Marin, Cheng Li – a Ph.D. student from Rutgers, and Julia Cobuzzi at a nutrition outreach event. When Julia Cobuzzi of Monroe transferred to UConn from Stonehill College in Massachusetts at the beginning of her sophomore year, she was not sure what she could do with a major in Allied Health Sciences. “I took Introduction to Nutrition with Stacey Mobley, and it has been my favorite course by far in my college experience,” Julia says thoughtfully. Then, she met Paul Gagnon at the Center for Career Development, and he encouraged her to apply for an Extension internship. Julia spent the summer of 2016 working with Heather Peracchio in the UConn Extension office in Bethel. Heather is an Extension Educator for the Expanded Food and Nutrition Education Program (EFNEP) and the SNAP-Ed (Supplemental Nutrition Assistance Program Education) program. The community nutrition education intern teaches small and large groups, works with adults and children, conducts cooking demonstrations, and assists in developing materials for programs. During her first year interning, Julia had only taken one nutrition class and did not have much experience teaching. Working with Heather, she developed her skills, and a greater understanding of nutrition. “I taught a 4-H program to 2nd-6th graders at a summer school at Shelter Rock Elementary School in Danbury. I also taught the same program to 1st-4th graders at a summer 4-H program in Bridgeport, that also included a gardening component. Over the weeks the kids came in, and were making better food choices at home, and eating the rainbow. I knew they were understanding what I was telling them,” Julia recalls. “I was sad at the end of the first summer. I learned so much from Heather, taught a lot of classes for youth, and it was a lot of fun to see that I could make a difference.” She switched her major to nutritional sciences, and then re-applied for the internship. Julia was selected to serve as the Community Nutrition Programming Intern in Bethel for the summer of 2017. During her second summer of interning, Julia led a grocery store tour at ShopRite and talked to participants about budgeting, and purchasing food in season. The group of 16 moms was split into three groups, one led by Julia, one by the ShopRite dietitian, and one led by Heather. 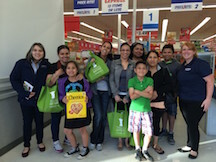 At the end of the program, each participant was given a $10 gift card from the grocery store, and they were challenged to purchase one meal that has all five food groups with the $10. 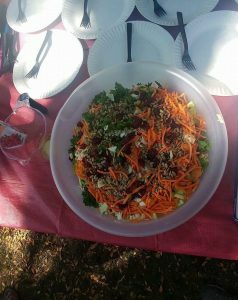 Participants were competing amongst each other to see whom could create the healthiest meal for the least amount of money. “How a community processes nutrition information is something you could not learn in a classroom – you have to see it in person to understand it,” Julia adds. From a personal perspective, Julia enhanced her proficiencies in teaching in terms of figuring out how to write a lesson plan, and creatively teach to keep the audience engaged. She improved her public speaking skills, and ability to teach large groups of people. 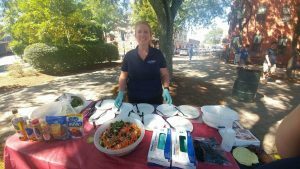 Julia also led classes at the Danbury Farmers’ Market, where she taught adults. Imagine running out of food, with small children to feed, and no food stamps for another week. Friday’s paycheck has to pay your utility bill, or they will cut off your electricity. Feeling panicked yet? Picture what it was like, over 40 years ago, to have someone from UConn Extension knock on your door and ask if you need help learning how to feed your family for less. Since 1969, Expanded Food and Nutrition Education Program (EFNEP) educators have been helping thousands of families and youth in some of the most challenged neighborhoods in Connecticut. While parts of Connecticut are affluent, our state has deep pockets of poverty that can lead to food insecurity and hunger. Some of the poorest neighborhoods in the country are in urban areas of our state. Food deserts, or areas that lack access to grocery stores and fresh food, contribute to the problem. This includes urban centers as well as more remote rural areas where transportation is a major hurdle for accessing healthy foods. Coupled with the challenging economy, the state has seen an increase in the number of families with children using soup kitchens and food assistance. During the 1960’s, there was increasing awareness of the health problems associated with poverty. Hunger and poor nutrition were identified through several government studies. Cooperative Extension leaders recognized that programming was not reaching low-income populations as well as it could. In 1962, several states conducted pilot projects focusing on the best way to reach this audience with food and nutrition information. 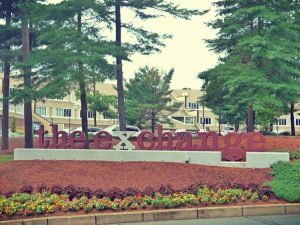 Throughout the mid 1960’s, effective land-grant university projects helped to build administrative support for establishing a program within Cooperative Extension. EFNEP is the oldest federal nutrition education program for low-income families, being formally established in 1969. The U.S. Department of Agriculture (USDA) National Institute of Food and Agriculture (NIFA) administers EFNEP at land-grant universities in all U.S. states and territories, and the District of Columbia. The program provides practical, hands-on food and nutrition education to tackle societal challenges such as hunger, malnutrition, poverty, and obesity. UConn Extension has eleven EFNEP educators in communities throughout the state. EFNEP is active in cities such as Hartford, New Britain, New Haven, New London, Willimantic, Bridgeport, and Danbury. Bilingual programs and materials, cooking classes, and educational trips to the grocery store are a few offerings. When the program first began, EFNEP educators did knock on doors to recruit participants. Today, EFNEP staff develop relationships with community-based organizations and agencies who work with low-income families and youth. One of the first pilot projects, in the 1960’s, was conducted in a Bridgeport housing project. Dr. Janina Czajkowski-Esselen directed this pilot project. She was one of the visionary thinkers who helped develop the concepts behind the EFNEP program. There is a unique peer educator component in EFNEP, which has since been used in communities around the world. The program considers the situation of each participant, and tries to help them identify and determine solutions to their issues around food choices, shopping, feeding families, food safety, and food insecurity. The program meets clients where they are, and considers economics, culture, and literacy in programs and materials. Educators use interactive, hands-on teaching methods through conversations, not lectures. Participants develop skills that can help them improve their food and nutrition practices for better health and quality of life. Depending on the situation of the family, this may mean just having enough food at home to last from payday to payday. 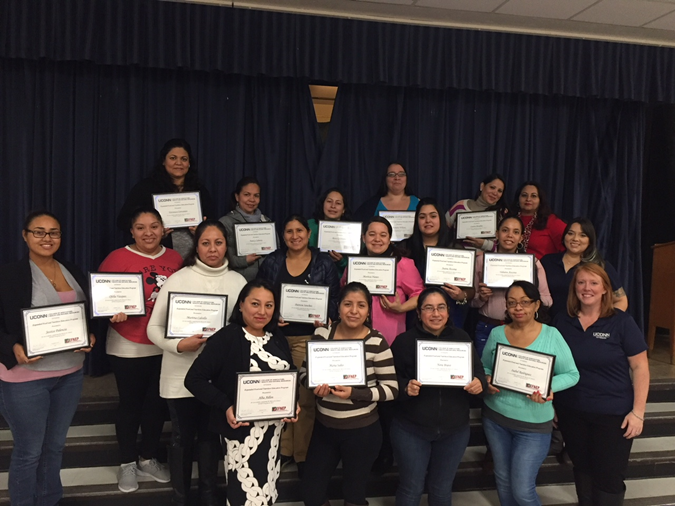 UConn EFNEP educators serve as a link between program participants and other local agencies, including federal programs such as Women, Infants and Children (WIC) or the Supplemental Nutrition Assistance Program (SNAP, formerly the Food Stamp program) that participants may qualify for. Moms from Grassroots Academy learned about saving money at the store while feeding their family healthier foods during a grocery store tour at Price Rite in Danbury last week led by EFNEP educator and dietitian Heather Peracchio and extension aide Juliana Restrepo-Marin. The tour was in partnership with the Cooking Matters at the store program. Heather Peracchio, Registered Dietitian and Assistant Extension Educator has connected with Bethel AME Church on Grove Street in Bridgeport, CT thanks to Marilyn Moore, Board Chair for End Hunger CT!. Reverend Theodore Hickman-Maynard and Co- Pastor Bernadette Hickman-Maynard have offered the church’s educational area and spacious kitchen to host EFNEP (Expanded Food and Nutrition Education Program) classes for parishioners. Classes reached over 20 families through six weekly courses this April and May. Attendees have learned how to increase their intake of healthy foods through hands-on nutrition and cooking classes. Classes involve family members of all ages including children and grandparents raising grandchildren. Components of class are in line with the Next Generation Connecticut plan and science, technology, engineering, and math (STEM) disciplines, specifically participants are learning about nutritional science and math while gaining life skills. Each week attendees have shared changes that they have made to their lifestyle since attending EFNEP classes. Diet changes shared include; draining and rinsing canned foods to lower the sodium content, no longer adding salt when preparing meals, including a salad before meals to increase vegetable intake and reading food labels on packages. Attendees also have shared they have begun making at home the healthy, low cost recipes featured in class such as Roasted Root Vegetables http://recipefinder.nal.usda.gov/recipes/roasted-root-vegetables and Quick Garbanzo Bean Soup http://blogs.extension.iastate.edu/foodsavings/2012/12/24/quick-garbanzo-bean-soup/. Another new connection to the community includes outreach at the Connecticut Food Bank mobile food pantries in Danbury and Bridgeport. One time per month a CT Food Bank truck delivers perishable foods to up to 250 needy families per site. Folks seek out fresh fruit and vegetable donations from these mobile food pantries located in church and Housing Authority parking lots. SNAP-Ed Food Security funds allow UConn to provide healthy budget-friendly recipes and nutrition information on USDA MyPlate, portion size, label reading, and healthy preparation techniques. Coordinating with CT Food Bank staff Jennifer LaRosa, Richard Tirado the site volunteers Heather provides seasonally appropriate recipes and information. 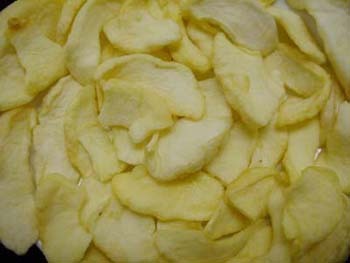 Fresh fruit donations often include apples, oranges and pears, while vegetable donations often include staples for salads, soups and stews such as kale, lettuce, potatoes, carrots, and onions. Other perishable items like yogurt, eggs, and breads are sometimes available. Clients welcome new recipes and are happy to share how they plan to prepare the food items. Items clientele are less familiar with how to prepare, consume or store include fennel and tofu. Heather is able to provide healthy preparation techniques and science based web resources to clientele.